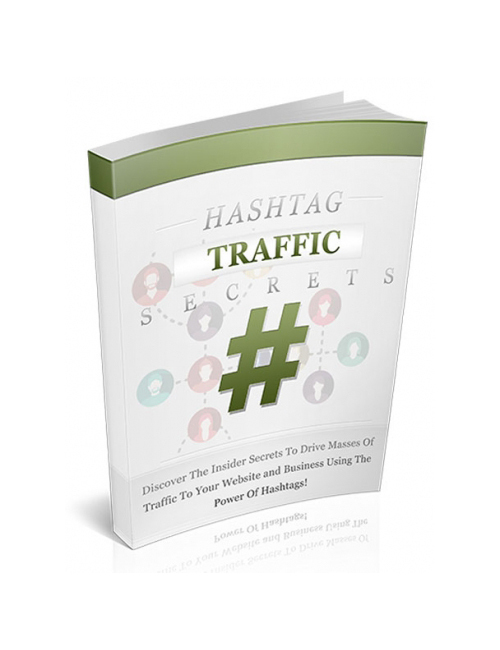 Hashtag Traffic Secrets – Discover The Inside Secrets To Drive Masses Of Traffic To Your Website And Business Using The Power Of Hashtags is an awesome professional guide written in a simplistic manner. It won’t take you long to move yourself forward with the proven systems inside. FACT – If you want to make good money online you’ve got to drive quality traffic to your website. This means you need a constant flow of potential buyers to boost your income stream with increased conversion rates. Understanding the power of hashtags is essential to your success. This guide delivers exactly what you need to know to make it happen. Hashtag Traffic Secrets – Discover The Inside Secrets To Drive Masses Of Traffic To Your Website And Business Using The Power Of Hashtags is the smartest move you can make for your thriving business!